This entry was posted in Roles & responsibilities on 2018/02/21 by Susan. Bullying and harassment hurt people in our schools, workplaces, homes, and online. Pink Shirt Day reminds us to support them. How can we support people who are being bullied or harassed? What can we do to show people they’re not alone in the situation? This is one of the things people talk about on February 28 in B.C. on Pink Shirt Day. This annual event started in 2007 when two Grade 9 boys organized a high-school protest to wear pink in support of a classmate who was being bullied for wearing a pink shirt. Since then, Pink Shirt Day has grown every year and is now recognized in almost 180 countries. I spoke with Don Parman, Actsafe industry advisor for performing arts, when he was preparing for the Actsafe Event Safety Conference. Bullying and harassment was on the agenda, as well as being one of the things addressed in Actsafe’s safety awareness course. Don adds that as with mental illness, there’s still a lot of stigma when it comes to bullying and harassment. But he believes that the more people talk about it, the more that stigma will break down, and the easier and more common it will be for people to report it. Everyone has a role to play when it comes to preventing bullying and harassment in the workplace. 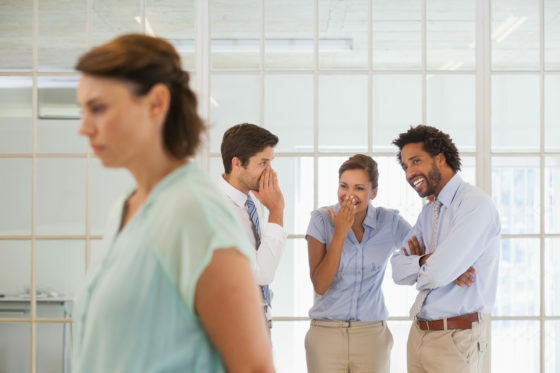 Three WorkSafeBC policies – for employers, workers, and supervisors – detail how the requirement to protect the health and safety of workers and others in the workplace translates into specific duties when it comes to bullying and harassment. You can find much more information, including a resource tool kit, on the Bullying and Harassment page of worksafebc.com. Do you have any experiences around the support of people who are being bullied or harassed? Please do share them here; together we can help break the stigma.